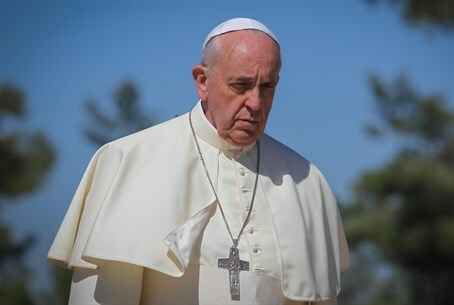 Pope Francis has officially deemed the murder of more than 1 million Armenians in 1915-17 by the Ottoman Turks as "genocide" Sunday - a definitive step in ensuring recognition of the tragedy on the international scale. "In the past century, our human family has lived through three massive and unprecedented tragedies," Francis stated, at the beginning of a Mass in the Armenian Catholic rite held at the Vatican. "The first, which is widely considered 'the first genocide of the 20th century', struck your own Armenian people," he said. He named the other two tragedies as the Holocaust and Stalinism. Francis's words could cause tensions between the Vatican and Turkey, but the Pope stressed that the declaration is a step toward justice. "Concealing or denying evil is like allowing a wound to keep bleeding without bandaging it," he said, according to the Associated Press. In response, Turkey's embassy to the Vatican has cancelled a scheduled press conference for Sunday. Only 22 countries recognize the systemic murder of Armenians as "genocide," and Israel and the US are not among them. Armenia marks the genocide every year on April 24. Between 1-1.5 million Armenians were killed by the Turks in various massacres, ultimately leading to the genocide of over one-third of the Armenian population. The carnage began after Turkish authorities ordered the executions of much of the Armenian elite in Istanbul on April 24, 1915. Men, women, and children were later murdered by various means, including through forced marches, starvation, and poison. The Ottoman government set up some 25 concentration camps as well throughout the period, and mass graves of up to 60,000 people were found in some locations.